Mission of Mercy is a dental clinic with portable dental stations set up in a large public arena. This year it was held in the gym at Chemeketa Community College in Salem, OR. Temperatures in the 90’s (indoors!) 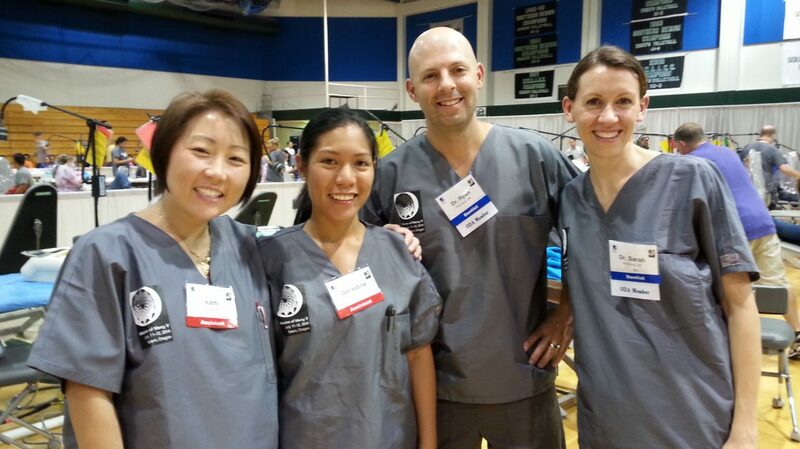 didn’t keep 998 volunteers from helping 1,255 patients receive $738,299 in free dental treatment. What a memorable day! This was the second time Pitman Family Dentistry has helped out with this event, and we’re already looking forward to the next one. SEASIDE’S TREASURE THE BEACH CLEANUP…AND ARCADE!